Bonnie Mae Rice was born February 23, 1933 in Reydon, Oklahoma to Effie Mae and Elbert Lee Payne. She went to be with her heavenly Father on January 14, 2017 at St. Anthony Hospital in Oklahoma City. Bonnie married Arnold A. Rice at Wheeler, TX August 23, 1949. She lived most of her life in the Reydon, Meridian and Sweetwater communities. Bonnie and Arnold farmed in the Reydon community and also owned the drugstore before working in the garment factories at McLean, Texas, Clinton and Elk City, Oklahoma . Bonnie cooked at Sweetwater School and later became the Postmaster of the Sweetwater Post Office in 1987. Bonnie was a hard worker and always enjoyed what she did. She also enjoyed attending church and community activities, traveling, sewing, fishing, watching wildlife in her yard, kids, being with family and playing Wahoo. 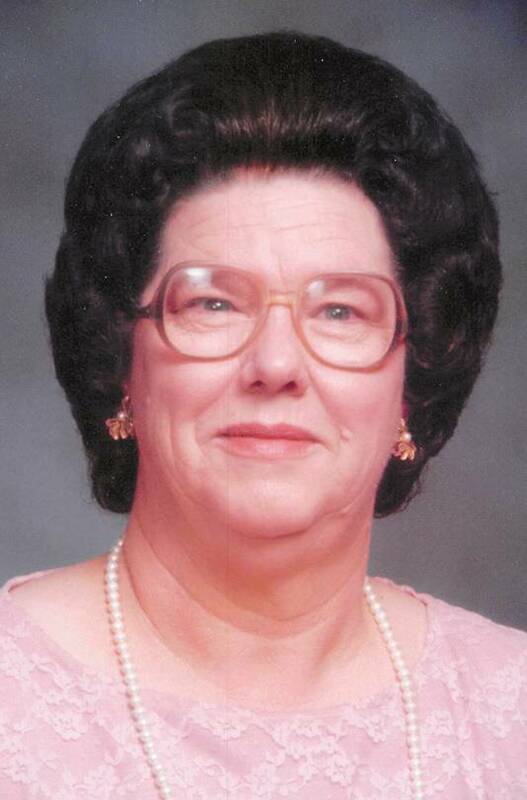 Bonnie was long time member of the Sweetwater First Baptist Church. She was preceded in death by her husband, parents, six sisters, Carrie Payne, Leavie Marshall, Ellen Cusick, Oma Lee Wright, Ozelle Wright and Inez Abell.